Nick Hoch demonstrates a profound passion for architecture and urban design. He continually strives to balance the demands of urban living with designs that provide a connection to nature and a strong ground floor relationship with the public realm. His professional experience includes firms in the Midwest, such as YB Architects, and Vision 2013 Design Center. He has worked on a variety of projects ranging from a large riverfront development, a historic redevelopment of a General Electric Campus, to a neighborhood pub. Originally from the Midwest, Nick has traveled extensively around the globe to pursue design knowledge concerning architecture, urban design and place-making. While studying architecture at Ball State University, he honed his passion for urban design while studying on a world tour through 29 countries and over 60 cities. This created an intense drive to understand cities and the design of place. While pursuing a Masters of Urban Design at Ball State at Indianapolis, he focused his thesis research on urban riparian zones and urban riverfronts. Professionally this lead to opportunities working with a local firm in Indiana contributing to the design of Fort Wayne’s riverfront. Nick then continued his passion for architecture and urban design at the University of Oregon by spending a summer in Copenhagen studying architecture and urban design and contributing to Nico Larco’s book ‘Sustainable Urban Design’ specifically researching urban ecological corridors and urban habitat connections. 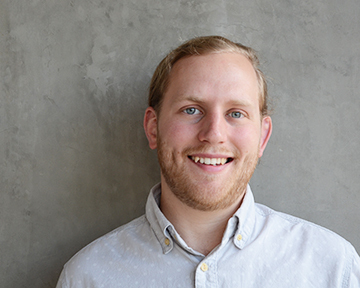 Nick has received numerous honors, including the Betty Peting Travel Fellowship, a fellowship awarded to UO graduate students with an outstanding research proposal to study urban design and livability in Copenhagen and several other European cities. He is currently pursuing licensure.